TTC wetranslate Ltd has acquired Bedford Translations, a highly regarded technical translation company with over three decades of experience in the translation industry. The acquisition took place on 6 April 2016. 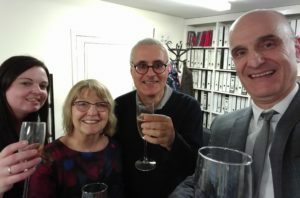 James Valentine and Gerta Badde, who began their entrepreneurial journey in 1983 built Bedford Translations as a well respected, quality business. The addition of Bedford Translations to TTC wetranslate Ltd will bring many new opportunities and customers of both companies will benefit from the strengthened position of the combined entity. ‘We are happy to have found a translation agency with similar values and high regard for quality’ – says Levent Yildizgoren, Managing Director of TTC wetranslate. ‘We are very excited that we are gaining the skills and expertise of the Bedford Translations team’.